I think it's all of this and more. Traveling through southern India felt gentler, more relaxed and casual somehow. The people there fell into a slower step, perhaps the tropical climate has something to do with it. In Jaipur I feel like I'm being squeezed, as if everyone wants something from my back. The hustle is harder here. As foreigners, we're often treated like bottomless money bags, whereas in the south, it felt as if we could at least converse with locals without such hard asks for cash. But this is the way of things, if you're privileged enough to be a traveler. The simple fact of me being here means that I'm more well off than many locals I meet. Even though I had to struggle to get here, I stare the reality of my Westerner's privilege in the face. Let me be clear—I do not come from money. I grew up middle class in the Midwest, worked my way through and paid for college, and saved for this trip. Yet in comparison, I am still privileged to be here. Those of us who have the luxury to travel, carry the obligation to share what we've seen and learned so that others can better understand this wild world we live in. At least that's how I feel after seeing so much. In any case, back to the famous Pink City of Jaipur, which first earned its nickname in 1876 when the city was painted pink to welcome British royalty. Weaving through old, gridded city streets, we stop first at the Jantar Mantar Observatory, a UNESCO World Heritage site built in 1721. The entire space feels like a giant post-modern playground. Either that, or I just walked into the 90's computer game, Myst. 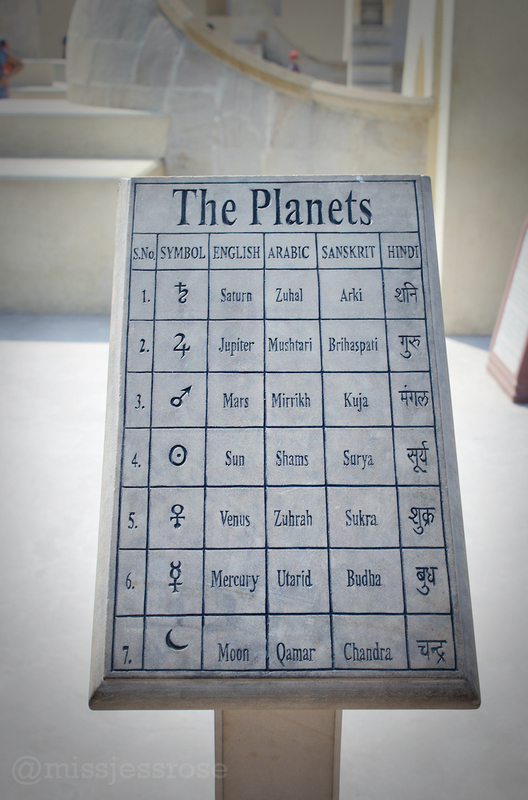 I find it wild and innovative that prince Jai Singh created about 20 life-sized instruments used to measure astronomical positions by eye. Science for the win, even at a time when what's considered modern cosmology didn't quite exist yet. This giant bowl helps measure the position of celestial bodies in the sky. Next stop: uphill to the famous Amber Fort, built in 1592. A plethora of pigeons and goats greet us amidst throngs of people piling off buses that stop here on the popular Golden Triangle tourist route. 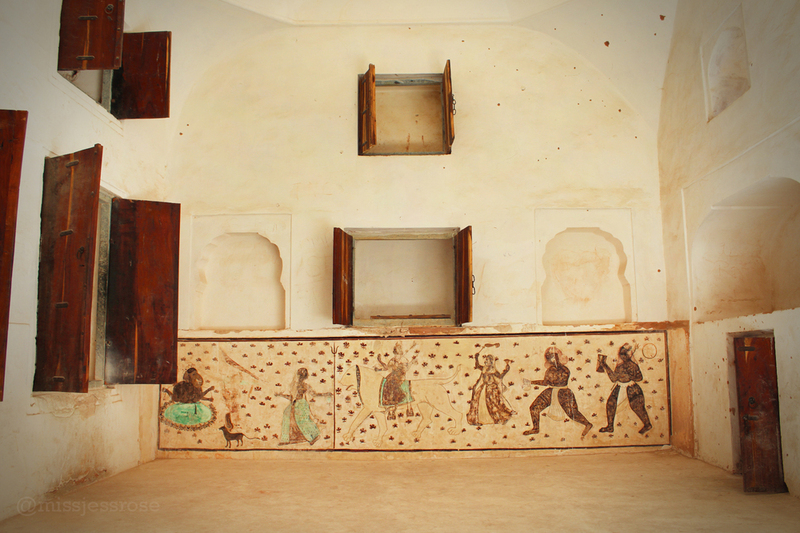 Inside the palace, everything is glistening—full mosaic walls made of tiny mirrors, colorful pink painted flowers on frescoed ceilings—it's as glorious as any Indian palace. 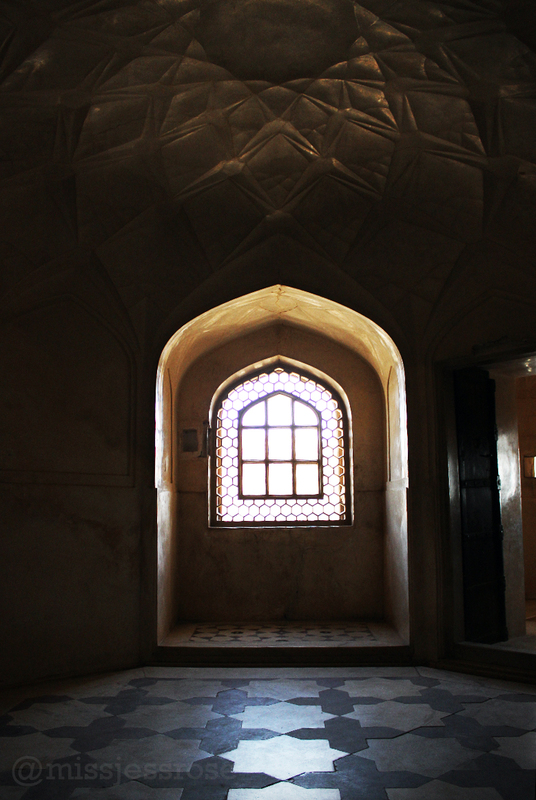 Weaving and wandering through the hallways, dodging the crowds, there are endless rooms to explore. Our last stop of the day is the Hawa Mahal, just as the sun sets. 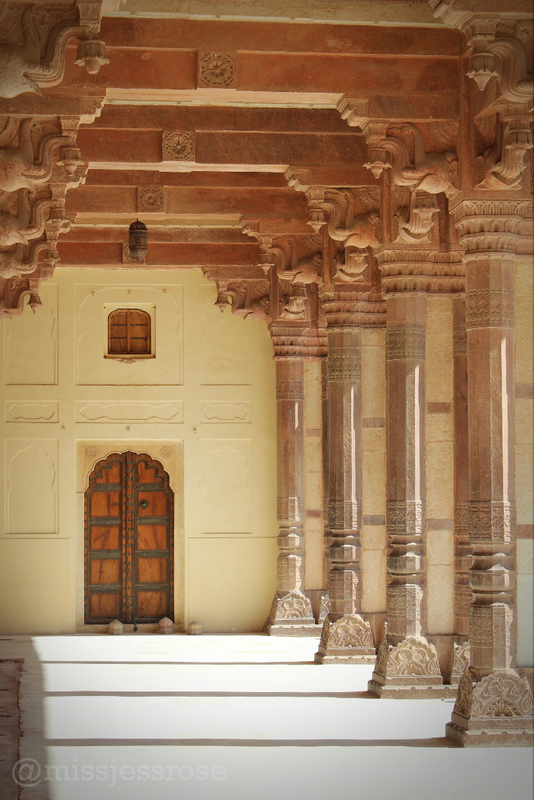 This pink sandstone palace was built so that women of royalty could secretly watch street festivals in which they were forbidden to participate. A man with a fake orange-colored beard invites us upstairs, through his shop of course, in order to look across the way at the palace. Every day we are seeing and experiencing so many new people and places. While I tire of some of the challenges being on the road sets in front of me, I never tire of the wonder of it all. Northern India is still just as full of history and beauty as ever. Have you traveled throughout northern India? What did you learn and love? What challenges did you face? Share your thoughts and experiences below!